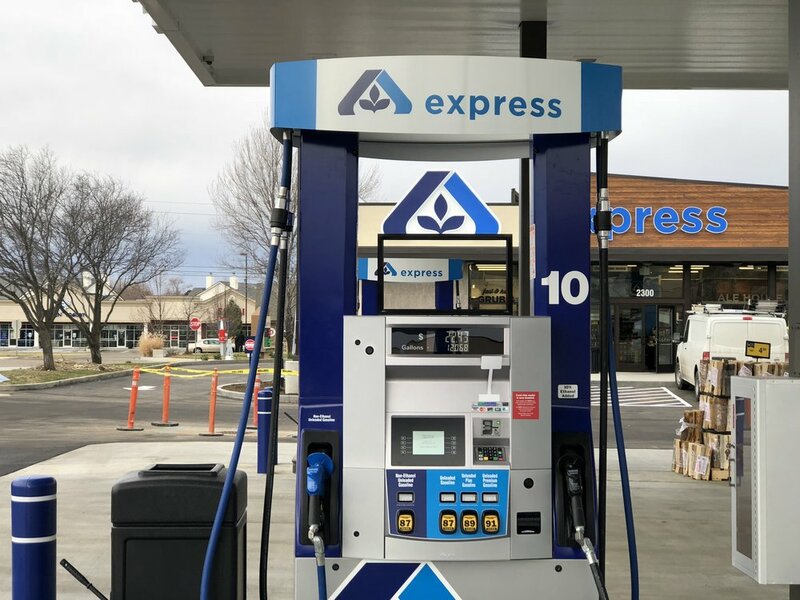 After selling local gas and convenience stations to Stinker in 2011 - Albertsons-branded gas stations are beginning to return to the market. 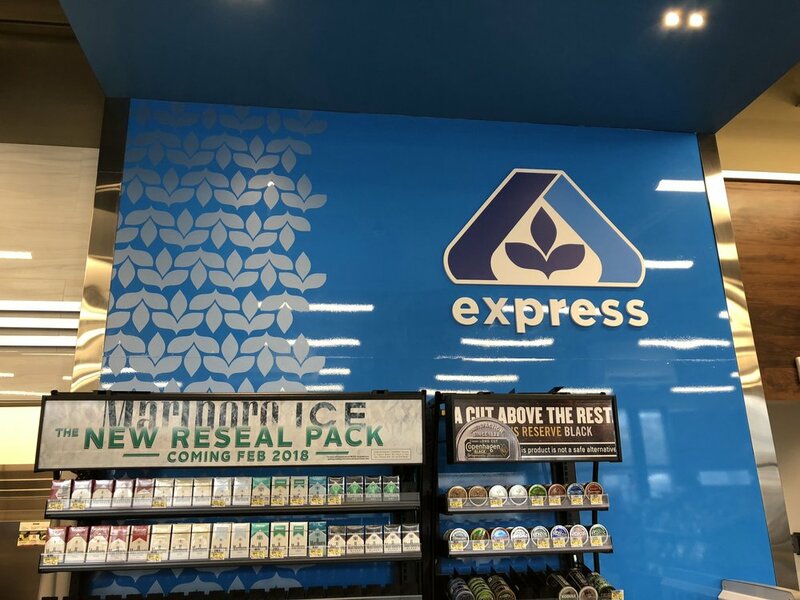 The first from-the-ground up new Albertsons Express in the area is now open at ParkCenter Blvd. and Apple St. on the site of a former Pizza Hut. The fuel center has a variety of modern features, including a walk-in beer cooler, digital soda fountain and more. It also includes a drive-through around the back of the store where items can be purchased without leaving a vehicle. The pumps are the first in the state to use EMV chips, according to Albertsons officials. 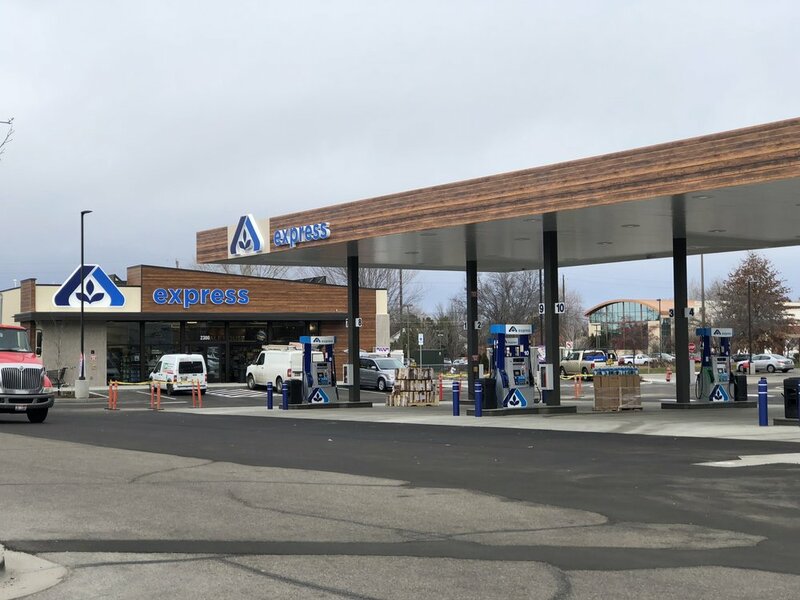 Albertsons also acquired a gas station at its former Paul's Market location on Lake Hazel - and plans at least one more at a forthcoming store in Barber Valley.